Editor's Note: We are still waiting on local pricing and an Aussie release date. 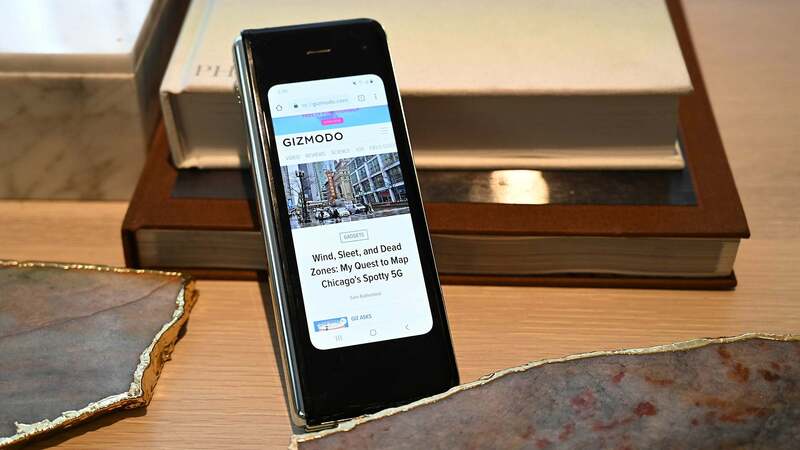 From there, you can either use the exterior “cover screen” as you would any other smartphone, although its 4.6-inch display means you’re a bit limited on real estate. 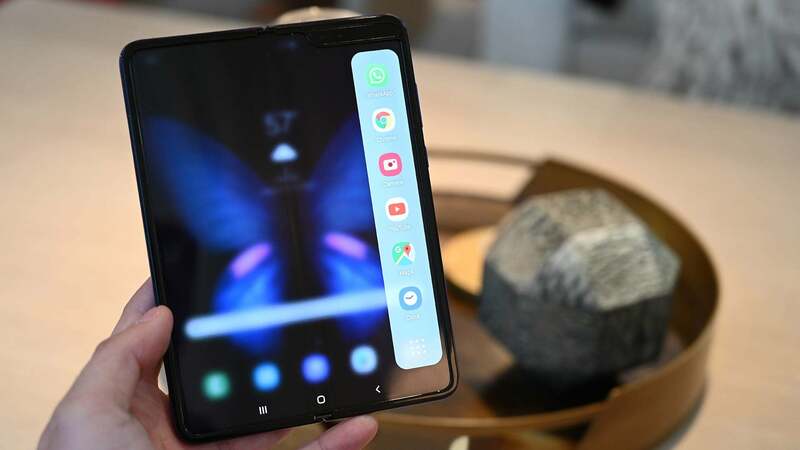 Of course, that’s where that big flexible screen comes in because as soon as you open up the phone, whatever was on the outside is suddenly inside on the device’s bendy 7.3-inch display. From there, you can either use the exterior “cover screen” as you would any other smartphone, although its 13cm display means you’re a bit limited on real estate. 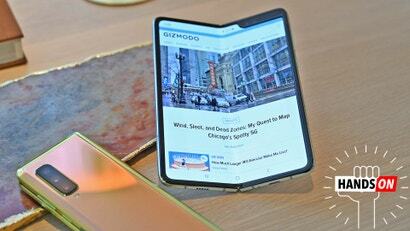 Of course, that’s where that big flexible screen comes in because as soon as you open up the phone, whatever was on the outside is suddenly inside on the device’s bendy 18cm display. 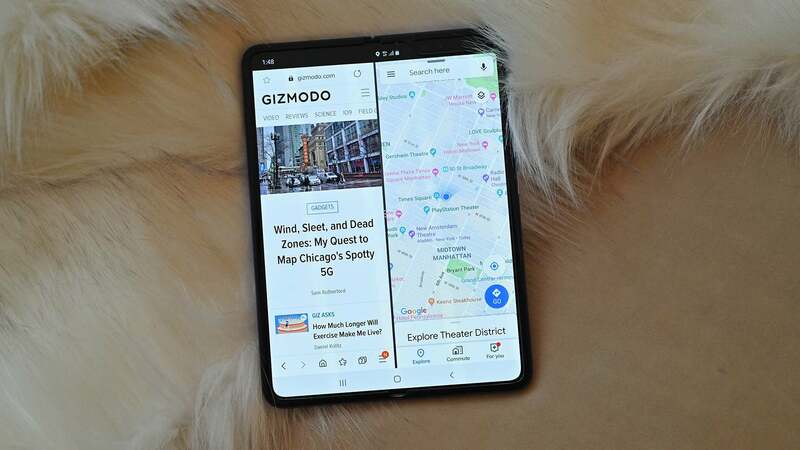 And if you’re a heavy multitasker, things only continue to get better, as you can then swipe in the from the right side of the screen to get a little row of apps that let you open up to three different apps at once. Thanks to the ability to pop out one additional app inside a floating window, the Fold’s true multitasking app count stands at four. 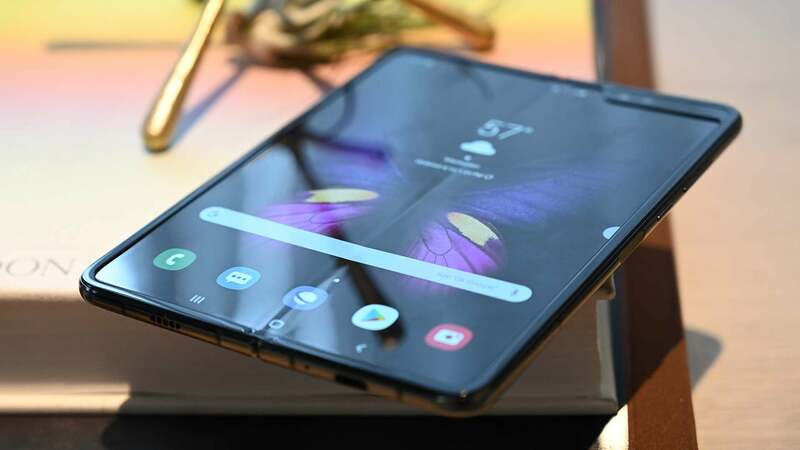 Meanwhile, to ensure those transitions and app performance is as smooth as possible, the Galaxy Fold features a Qualcomm Snapdragon 855 processor, 512GB of storage, and a whopping 12GB of RAM. 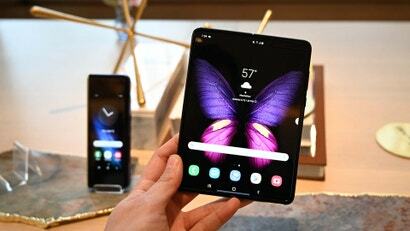 As a bonus, like the Galaxy S10, the Galaxy Fold features Qi wireless charging along with Samsung’s PowerShare tech that lets you juice up your other devices. 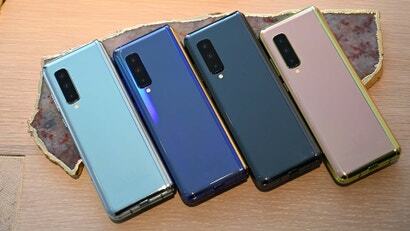 Though, in terms of real-world durability, the Fold not having any water resistance is a bummer. But from straight on, you can’t even see the crease. Like the Galaxy S10, the Galaxy Fold also sports triple rear cameras. Due to the tight inward radius of the Fold’s screen, Samsung had to leave a tiny gap in the middle. When you want to multitask, you can swipe in from the right to see a selection of recently used apps, or hit the icon on the bottom to see a full list. Now to be clear, the Fold’s ability to switch apps between screens, what Samsung calls App continuity, is still very much in its early stages. This sort of multi-app functionality isn’t even natively available in Android yet (it’s coming in Android Q), though Samsung has worked with Google and other partners to ensure a lot of major first and third-party apps look good on the big flexy screen. But that’s not always the case for less popular apps, or some games, which resort to a 16:9 letterboxed view. 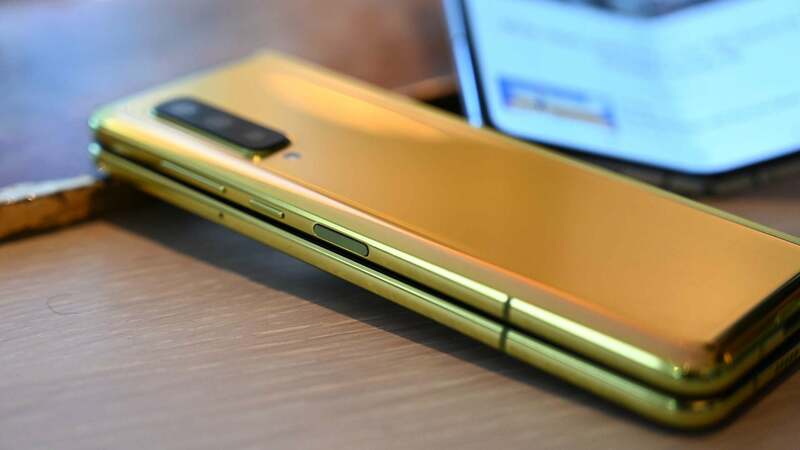 However, despite featuring two batteries that are joined together to form a 4,380 mAh power pack, I still have to wonder if the Galaxy Fold has enough longevity to keep that big display and everything else running. But that’s a question I should be able to answer once I’ve had a chance to spend more time with it. 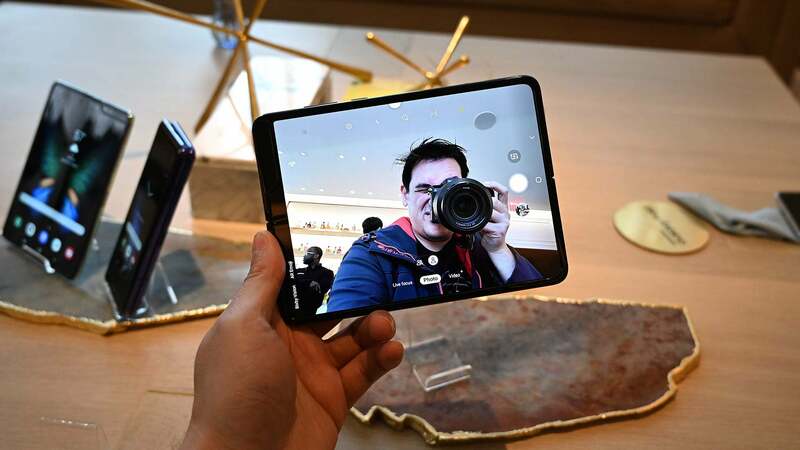 The Fold also comes with six total cameras, so you’re never without some way of taking a selfie. 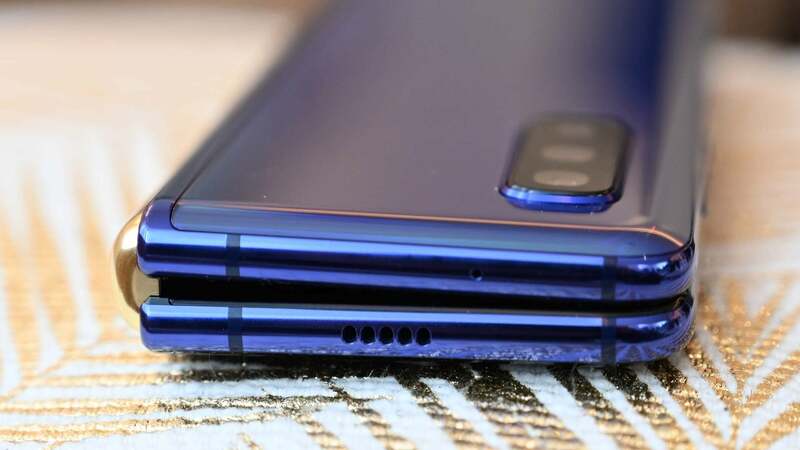 In front, there’s a 10-MP cam above the cover screen, while a second 12-MP selfie cam and an 8-MP depth cam to help with portrait-style shots live on the inside. 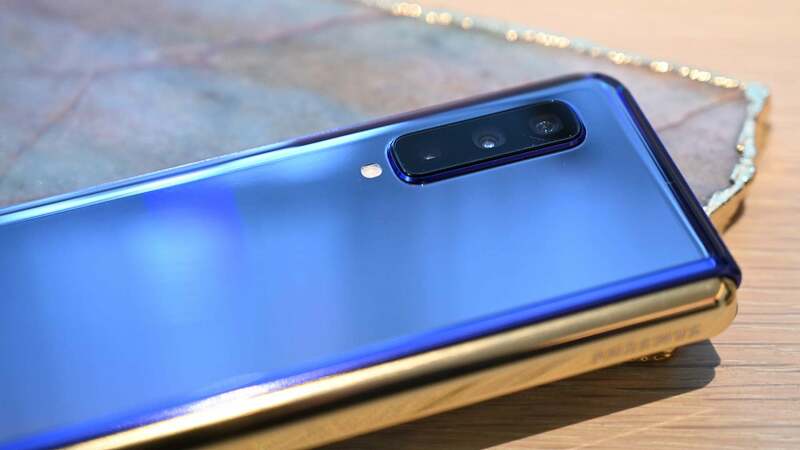 However, like on a regular phone, the real camera talent resides in the back, with the Fold offering a 16-MP ultra-wide camera, a 12-MP wide-angle camera, and a 2x telephoto cam. The Galaxy Fold has a noticeable crease, but when you’re using it normally, it’s way less distracting than I anticipated. 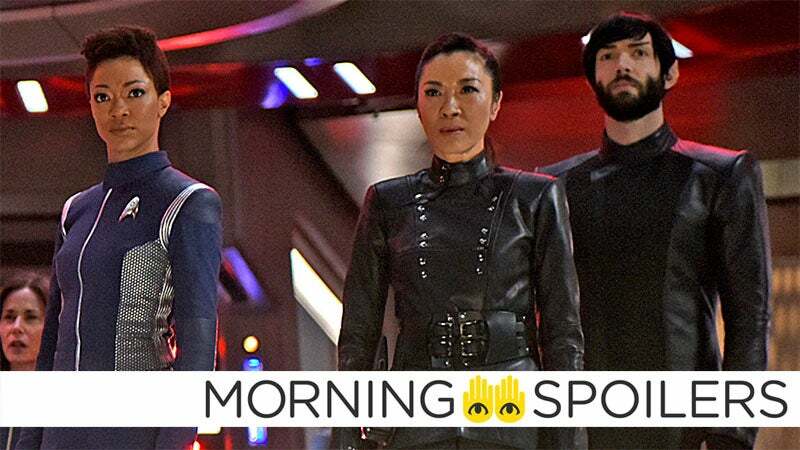 Generally, it fades away, potentially becoming less annoying than even a scratch on a screen. But depending on the situation and available ambient light, you may still notice it even when watching a video. 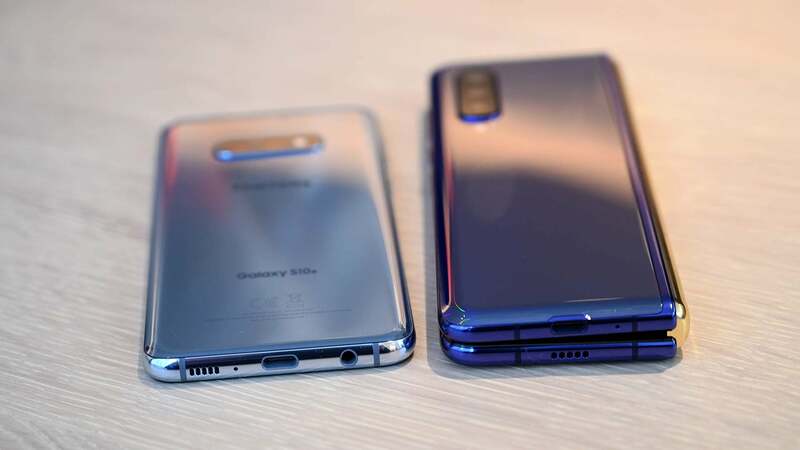 It’s impressive, but Samsung did not magically defy the material constraints, and doubtless, for some people, the imperfection will be seen as a failure. 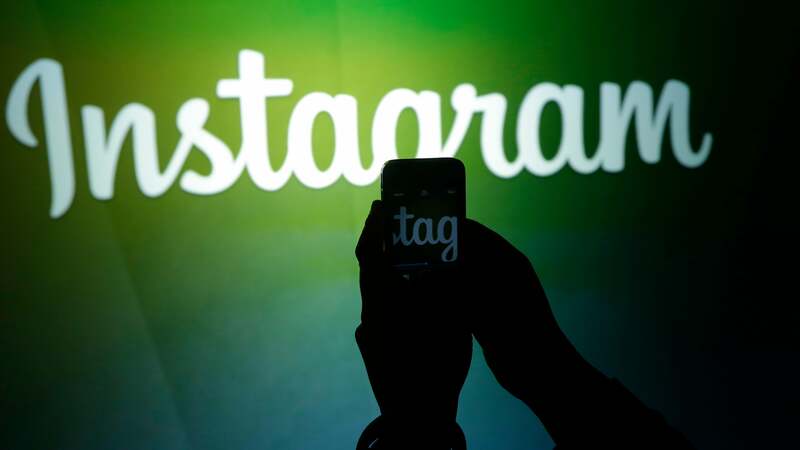 Similarly, the thickness of the device will remain controversial for some people. Personally, I think it wouldn’t bother me in the long run but for some of my colleagues who insist on tiny pants, the thickness will be a dealbreaker. And even if that crease and that thickness don’t wind up being too annoying, there’s still one more reality people will need to get over: $US1,980 ($2,763) is a serious chunk of money, especially for a V1 device. 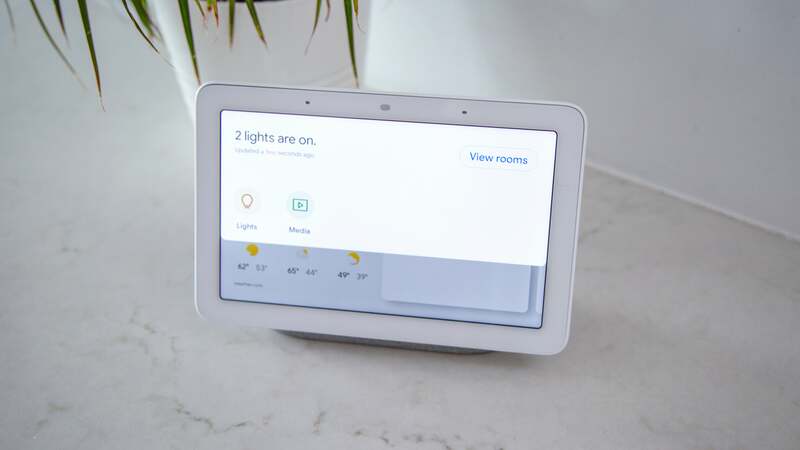 This thing is likely to only find its home with people who value keeping up with the absolute bleeding edge of tech. But the question remains, would you pay nearly $US2,000 ($2,791) for the chance to own one? I’m still not sure but stay tuned for our full review very soon.